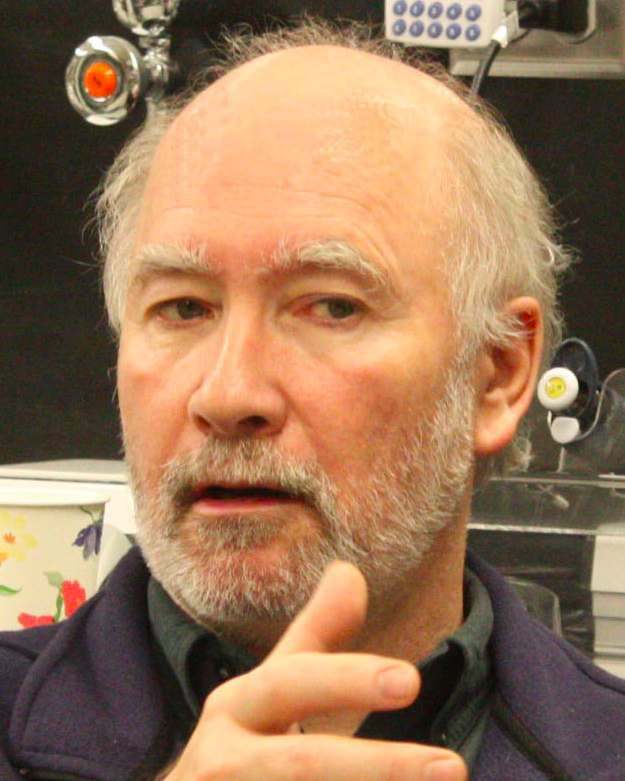 J.B. Alexander (Sandy) Ross joined the University of Montana in 2001 as Professor of Chemistry and Biochemistry and Director of the BioSpectroscopy Core Research Laboratory. Previously, he was Professor of Biochemistry and Molecular Biology and Co-Director of the Biophysics, Structural Biology, and Biomathematics Training Program at Mount Sinai School of Medicine in New York. Sandy became Associate Dean of the Graduate School at the University of Montana in 2010, Dean in 2012 and returned to faculty in 2016. In 2018, he was appointed Adjunct Professor of Chemistry and Biochemistry at the University of Lethbridge, Canada. Sandy earned his Ph.D. at the University of Washington in 1976 under the joint supervision of D.A. Deranleau and D.C. Teller. He carried out postdoctoral research under the direction of A.L. Kwiram at the University of Washington, L. Brand at The Johns Hopkins University, and P.H. Petra at the University of Washington. He has been a Visiting Professor at the University of Parma, Italy, and a Visiting Scientist at the National Synchrotron Light Source at Brookhaven National Laboratory. Sandy is a physical biochemist specializing in time-resolved excited-state spectroscopy and single-molecule experiments. He is an investigator in the Center for Biomolecular Structure and Dynamics and the Center for Structural and Functional Neuroscience. He is also past Director of the Sloan Indigenous Graduate Partnership at the University of Montana. Novel Probes for Studying Submicrosecond-to-Microsecond Dynamics: In contrast to fluorescence, which occurs in the time range of ps to tens-of-ns, phosphorescence (at ambient temperatures) occurs in sub-ms to ms. Thus, fluorescence lifetime measurements can provide information about local (specific-site) motions (ps to a few ns) and global motions of macromolecules with molecular weights up to 100 kDa (~50 ns). To facilitate measuring the dynamics of larger macromolecules and assemblies that are slower and occur in the 100-ns to 10-ms time-range, in collaboration with the Rosenberg group, we have been developing luminescent probes based on organo-metal complexes (metal-ligand complexes) that have excited-state lifetimes spanning this time range and that have high quantum yields and polarized emission. Membrane-Protein Interactions and dynamics: We are using time-resolved fluorescence microscopy and single-molecule fluorescence spectroscopy to study the conformational dynamics and ligand interactions of proteins that associate with membranes, employing nanodiscs as a model-membrane platform. Nanodiscs, largely developed by Sligar and collaborators at the University of Illinois, are mono-disperse, aqueous-soluble assemblies of nm-scale, protein-belted, phospholipid bilayers. The belt proteins are recombinant constructs based on high-density apolipoprotein A1. The easily controlled lipid composition and stable properties of nanodiscs make them particularly useful as platforms for biophysical study of membrane proteins. Through collaboration with the Demeler group at the University of Lethbridge, we are using analytical ultracentrifugation as an orthogonal approach to dual-focus fluorescence correlation spectroscopy for measuring protein interactions with nanodiscs. In collaboration with the Bowler group at the University of Montana, we are using dual-focus fluorescence correlation spectroscopy and time-resolved fluorescence anisotropy to investigate both the thermodynamics and structural dynamics of the interaction between Cytochrome c and cardiolipin-containing nanodiscs. Structural dynamics and enzyme catalysis: Correlated motions ranging in time scales from picoseconds to microseconds have been shown to be critical in overcoming activation energy barriers to substrate binding and active site pre-organization for catalysis in enzymes that have turnover rates in the microsecond to millisecond range. A crucial step in activation of G proteins is exchange of GDP with GTP, which is mediated by guanine nucleotide exchange factors. In collaboration with the Sprang group at the University of Montana, we are using single-molecule fluorescence spectroscopy to understand the role of conformational distributions and dynamic fluctuations in the mechanism of G protein activation.